Opened in 1990, the Cornelius Hubbuch Natatorium is the home of the Tigers who continue to dominate the Commonwealth with KHSAA state team titles. The six lane, 25-yard pool was recently updated and continues to be one of the top high school facilities in the state. The site of many spirited meets over the years, it is also an important facility for the St. X Physical Education Department. The 6,000-seat stadium is home to the Tiger Football, Lacrosse, Soccer, Rugby, and Track and Field teams. Opened in 2007, the stadium field was completely replaced during the summer of 2017 with a new state-of-the-art product that continues to provide our teams with a playing surface that combines the feel of grass with the durability of artificial turf. In addition to Tiger Athletics, the stadium hosts several events, including the Kentucky lacrosse state championship game, the KHSAA Regional Track and Field meet, KHSAA Sectional soccer matches and football all-star games, as well as the Special Olympics Regional Championships. The tennis center became the home of the Tennis team in the spring of 2005 as Phase 1 of Project X was completed. 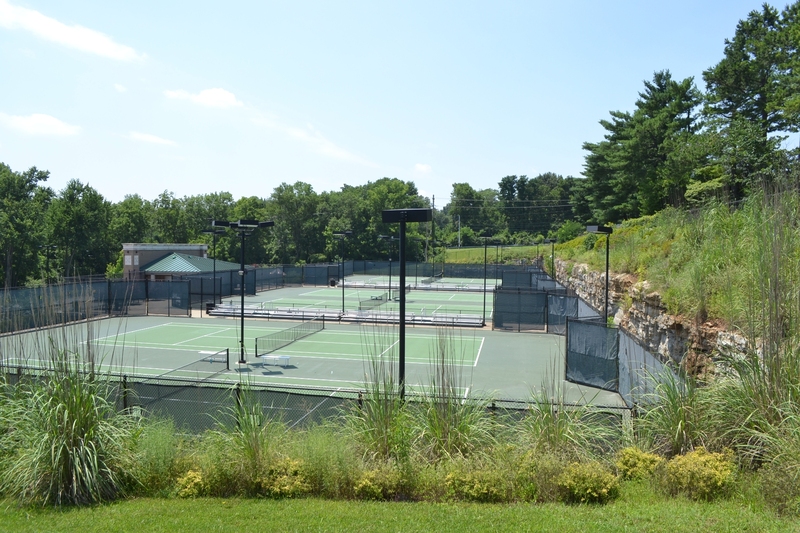 Six tennis courts located in a beautiful setting in the southwest corner of the campus provide Tiger players with a first-class practice and competition facility. The tennis center has hosted KHSAA Regional, CSAA, and USTA tournaments. The home of the Tiger baseball team was dedicated in the spring of 2007. The stadium field was completely replaced during the summer of 2017 with a new state-of-the-art product that continues to provide our teams with a playing surface that combines the feel of grass with the durability of artificial turf. With just over 500 permanent seats, an all-weather Sprinturf playing surface, home and visitor bullpens, and two batting cages, it is considered one of the top baseball facilities in the region. The St. X Baseball team moved into a newly renovated indoor training facility during the 2012-2013 school year. The generosity and hard work of a dedicated group of baseball parents and coaches have provided present and future Tigers with a state-of-the art indoor hitting, fielding, pitching, and training area that rivals the facilities at many colleges and universitiies. Regardless of the outdoor weather conditions, Tiger baseball players are now able to train effectively throughout the year. The final phase of Project X was completed in the winter of 2009 when the Tiger basketball team moved to its new home in the Brother John Wills, CFX, Sports Activities Center. The 2,000 seat arena also includes the basketball locker room, Athletic Department offices, ticket office, St. X Campus Store, and is the home of the Tiger Volleyball team. Saint Xavier's Sports Medicine Center provides Tiger student athletes with first class treatment and rehabilitation opportunities that utilize the talents of two full-time Certified Athletic Trainers. In addition, as an education center for student trainers, the center provides a unique environment for hands-on learning experiences from basic first aid to more advanced treatment regimens. The 10,000 square feet Fitness & Weight Center was renovated in the summer of 2015. It features all new weight and fitness equipment to accommodate all forms of athletic and wellness training, new flooring and wall covering, a modified HVAC system, and renovated restrooms. The facility is designed to accommodate all St. X sports teams, as well as members of the student body, faculty and staff. Home of Tiger Basketball from 1961 through 2009, the gym is the principle venue for the Saint Xavier Wrestling team. The multi-purpose facility, with a capacity of 1,400, also serves as the primary site for physical education classes, school masses and pep rallies. Throughout the school year, the gym is often transformed to accommodate a variety of functions icluding school dances, blood drives, and alumni events. The Saint Xavier Wrestling team has its home practice facility in the Driscoll Activities Center. This 4,500-square-foot wrestling room accommodates three mats and has padded boundary walls to provide a safe practice environment for the more than 80 students who participate in the program. The room is also an important facility for the St. X Physical Education Department and intramural program. In the Fall of 2016, The Bill Musselman ’63 Golf Center opened on the north side of campus. The 2,000-square-foot facility includes a putting green, two hitting bays, a locker room and a state-of-the-art golf simulator. Although the space is primarily used by the Golf team, it is also utilized by the physical education department for introductory lessons on life sports.